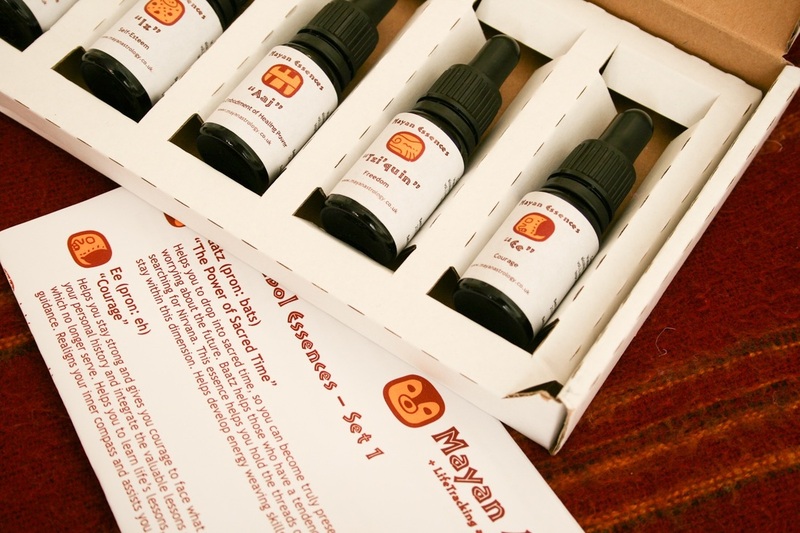 Mayan Astrology Essences are all based on the energies of the Mayan Calendar. Each symbol of the Calendar has a name, a particular design and a meaning. The essences help you to heal what is needed to help you move easily and happily through life. Essences can be bought in a box of five. There are 4 boxes of Mayan symbols - 20 bottles to collect in all & each box comes with full description of each one. Sets based on the 13 Mayan numbers coming soon.